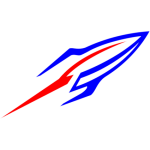 Middle School Boys Basketball travels to Rocky River Middle School. 7th Grade plays at 4:30pm followed by 8th Grade at 5:30pm. Boys Basketball hosts Normandy High School in a doubleheader. JV’s at 6pm followed by Varsity at 7:30pm. Boys Basketball has their home opener tonight vs. Avon Lake High School. JV’s at 6pm, Varsity at 7:30pm. 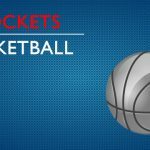 basketball, Boys Junior Varsity Basketball · Nov 29 Events for Thursday, November 29, 2018. Middle School Boys Basketball travels to Shiloh today for a doubleheader. 8th grade plays at 4:30pm, followed by 7th grade at 5:30pm. JV Boys Basketball opens up their season at Vermilion High School in the VABC Tip-Off Classic. They take on Rhodes High School at 5pm.